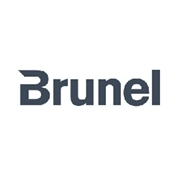 Brunel International N.V. is an international service provider specialising in the flexible deployment of knowledge and capacity in the fields of Engineering, Oil & Gas, Aerospace, Automotive, ICT, Finance, Legal and Insurance & Banking. Services are provided in the form of Project Management, Secondment and Consultancy. Incorporated in 1975, Brunel has since become a global company with over 10,000 employees and annual revenue of EUR 0.9 billion (2016) and we operate from our own international network of 97 offices in 35 countries.